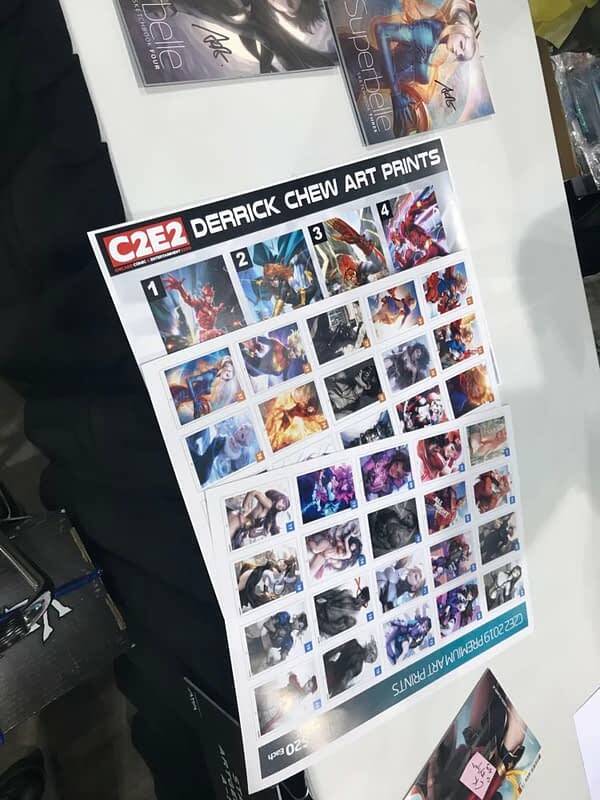 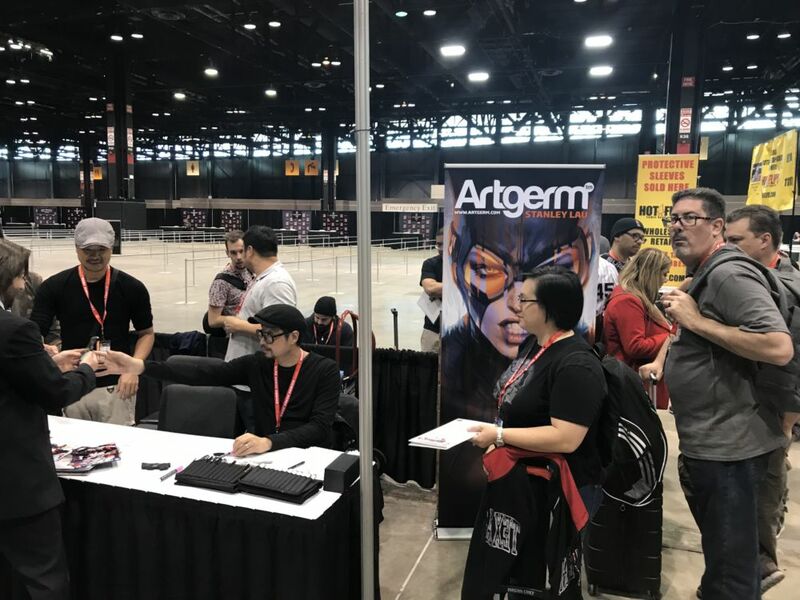 Fans were here early lining up for comissions and autographs and suprise guest Derrick Chew alongside Stanley ‘Artgerm’ Lau. 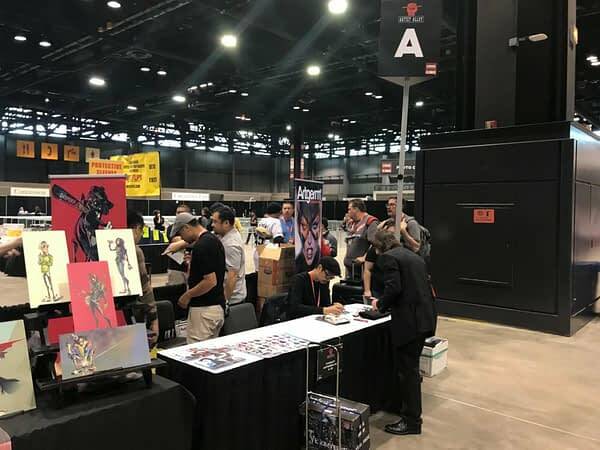 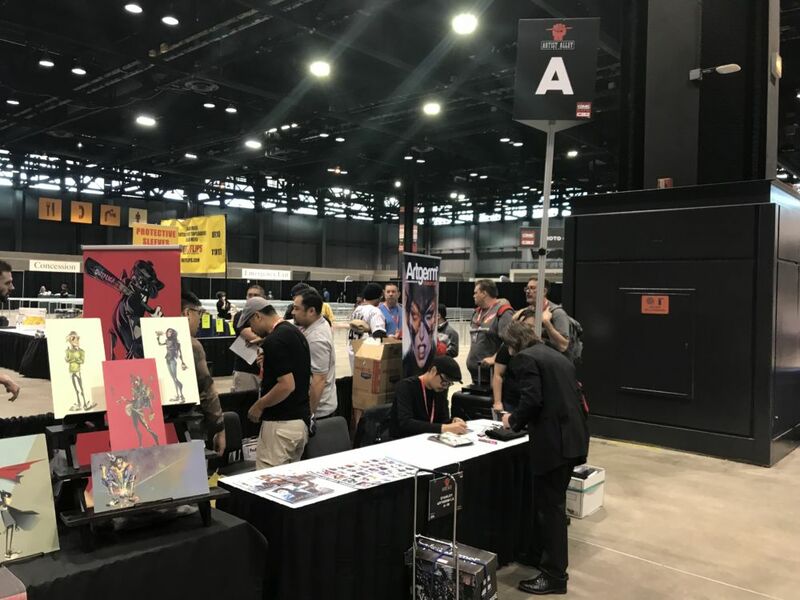 By 10:05 there were over 50 people in line at his booth, you could buy a pre done color comission for $1000 if you were there early enough. 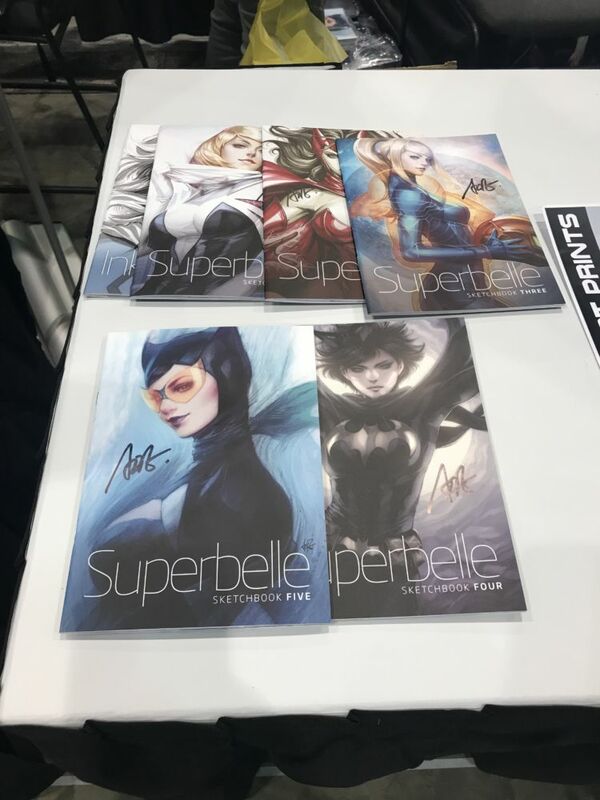 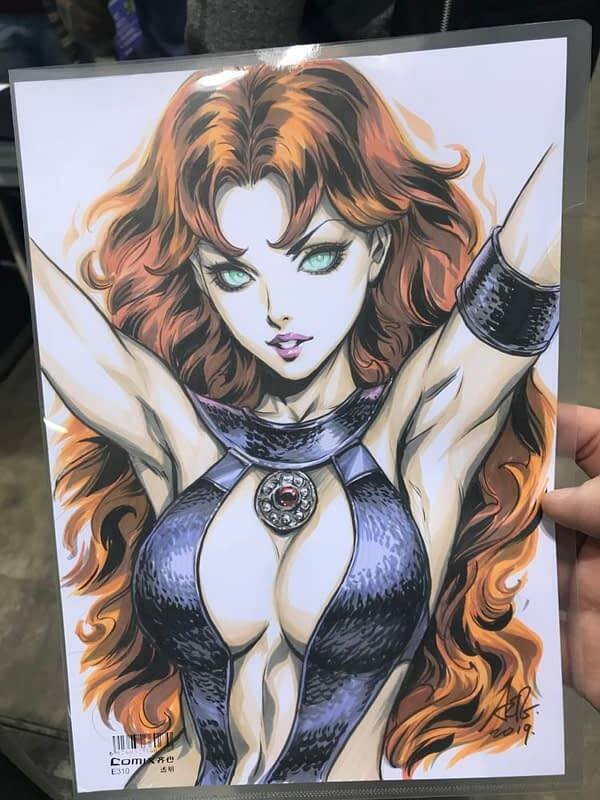 For those at the con he will also appear and sign for free at the DC booth at 5:00 on Friday and 4:00 on Saturday.